Hachette has two novels on the three-strong shortlist for the £10,000 Desmond Elliott Prize for debut fiction, with titles from Sceptre and Hodder & Stoughton both making the list. 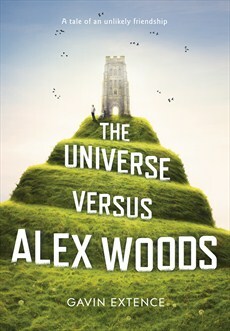 The shortlist comprises Ros Barber's novel in verse, The Marlowe Papers (Sceptre), The Universe Versus Alex Woods by Gavin Extence (Hodder) and Jenni Fagan's The Panopticon (William Heinemann). The panel of judges was chaired by novelist Joanne Harris who said all three shortlisted novelists were "ambitiously pushing the boundaries of style and form, with the confidence of authors much later in their careers". She added: "Gavin Extence's debut is precisely plotted and has an audaciously realised circular narrative; the use of verse in The Marlowe Papers is brave and innovative; and Jenni Fagan's use of the Scottish vernacular in The Panopticon is original and assured. If this is the benchmark for debut novels today the future of UK and Irish literature is in safe hands." The three authors will take part in a free public panel event at Foyles on 30th May, chaired by judge and deputy literary editor of the Sunday Times, Robert Collins. The overall winner will be announced on 27th June at a ceremony at Fortnum & Mason.